An employee handbook is a valuable resource for both the employer and employee, detailing the rights of the employee as well as the legal obligations of the employer. Often it covers the organization's history, values, policies, procedures, and benefits in a written format. It's a way to protect both the employee and the employer by establishing clear expectations which prevents legal disputes between two parties. Employee handbooks are an important piece of protection for employers big and small. In many ways, it's one of the most important documents you'll create as a business owner because not only are they helpful for getting new employees up to speed on the company and policies, some states view the employee handbook as an employment contract. A clear policy offers businesses and employees a way to avoid misunderstandings. So when it's written with precise language and disclaimers, it's a legal shield in the event of future conflict and can keep you out of court. A great handbook is readable and easy to follow, but covers your compliance and legal obligations as an employer. 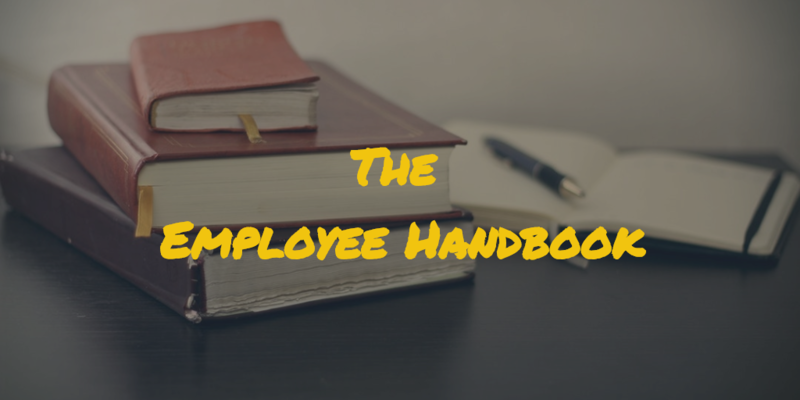 According to the Society for Human Resource Management (SHRM), employers should require every employee to provide written acknowledgment of having received the handbook. An employee handbook should cover at a minimum the employer's mission statement, equal employment opportunity statement, contractual disclaimer and at-will employment statement, purpose of the employee handbook, and background information on the company. It's also important to consider including federal and state laws such as Family and Medical Leave Act (FMLA), COBRA, Equal Employment Opportunity Commission (EEOC) anti-discrimination laws, the Americans with Disabilities Act (ADA), and the Fair Labor Standards Act (FLSA). Without a handbook in place, there may be confusion about the employer's policies. Pull together an outline for your handbook based on current company policies and identify gaps or missing documents that you need. It may be helpful to refer to employee handbook templates in order to identify what might be missing. In all cases, review federal and state requirements very carefully as the requirements may be different based on the nature of your business and where you are. A great employee handbook is easy to read and coherent. Add summaries to the more legal documents to avoid jargon and legalese. Handbooks are often one of the very first impressions that an employer makes on an employee, so every component can say something about your culture. Create a resource that captures policies but also tells the story of your company's values and culture in terms that they can understand. Rather than providing employees with a big book of paper which will get lost in the shuffle, make it easy for employees to access the handbook. 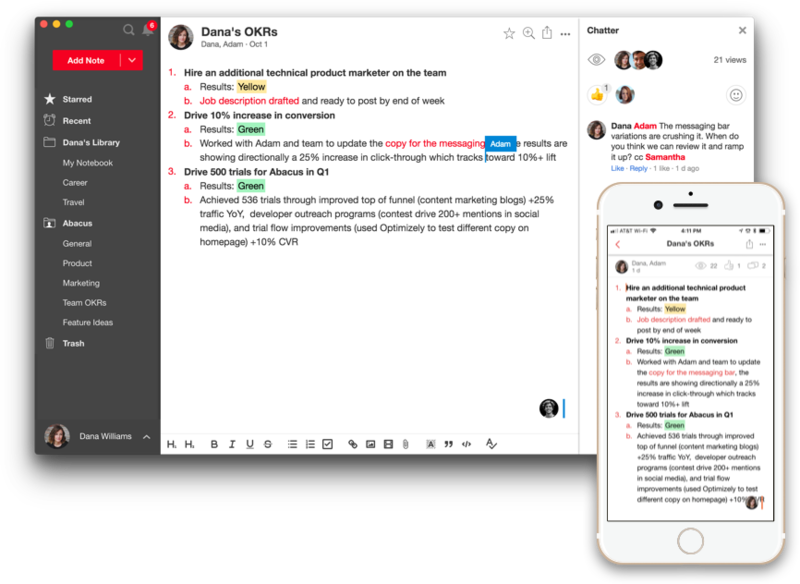 Make it accessible to them whether they're in the office, field, or remote. Notejoy is a great option for keeping it accessible and centralized in a place where everyone can find. Handbooks should represent the actual practices and demonstrated values of the employer, not the aspiration. However, as the work environment changes the handbook should change as well. Think of your handbook as a living and breathing document. With regular review and updates, employers can create a valuable asset for their entire employee base.